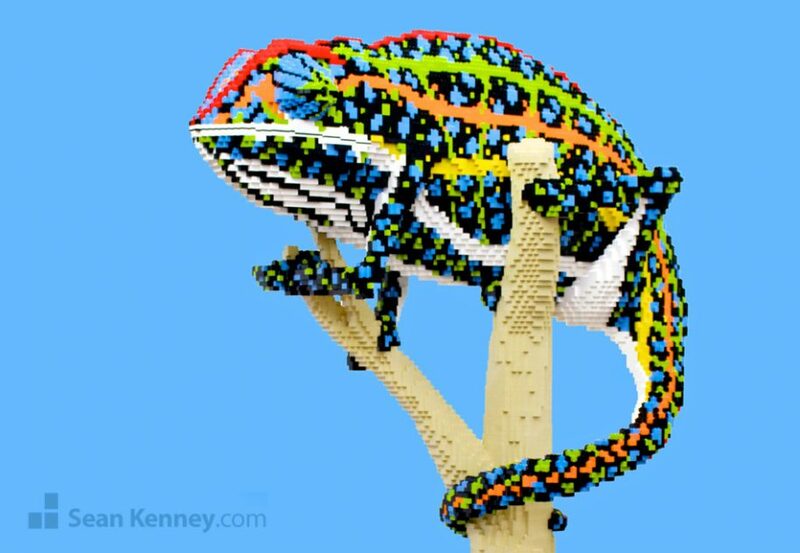 This vulnerable species of lizard is one of the most vibrantly colored and beautifully textured animals that I can think of. 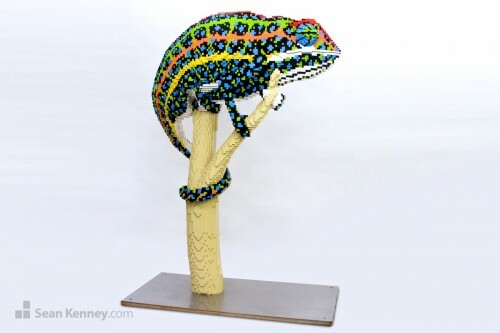 I wanted to make this sculpture larger-than-life to highlight not only the colors and texture but also their unique facial expressions and the elegant slow-motion pose of crawling across a little branch. 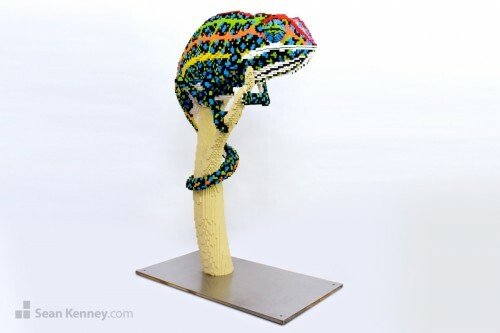 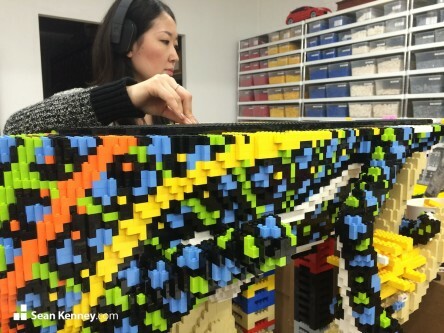 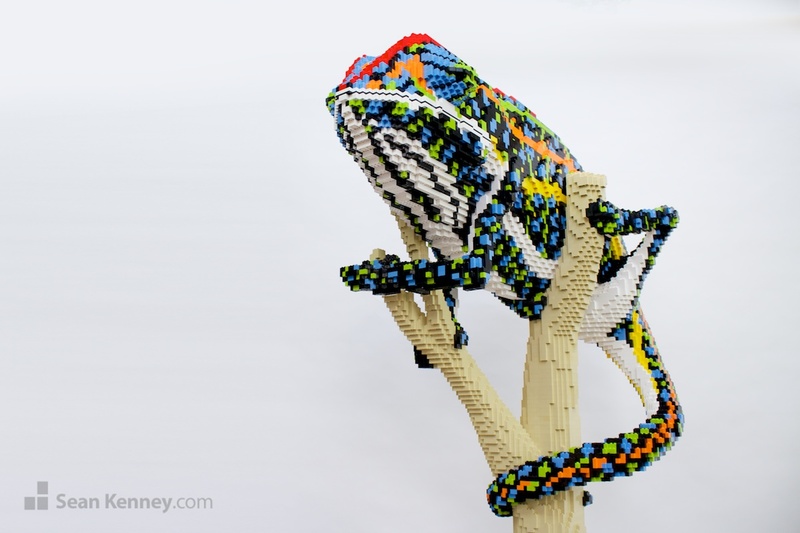 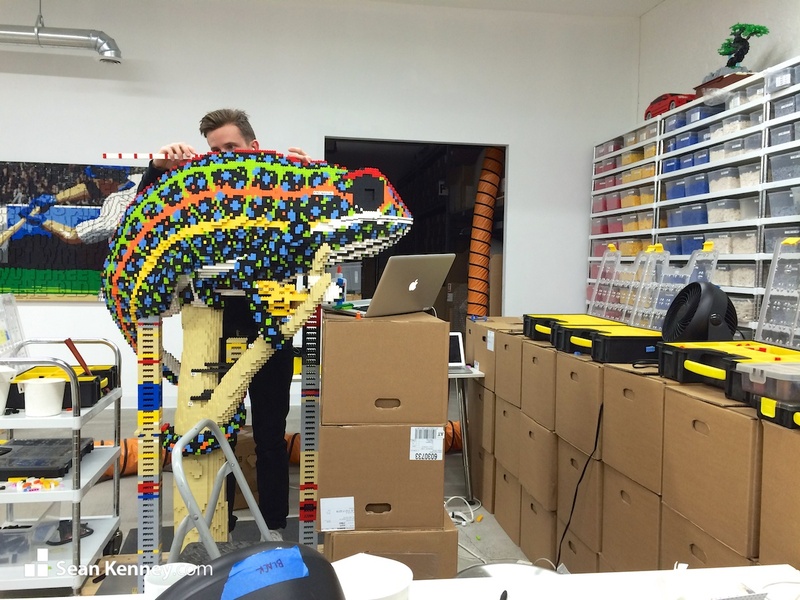 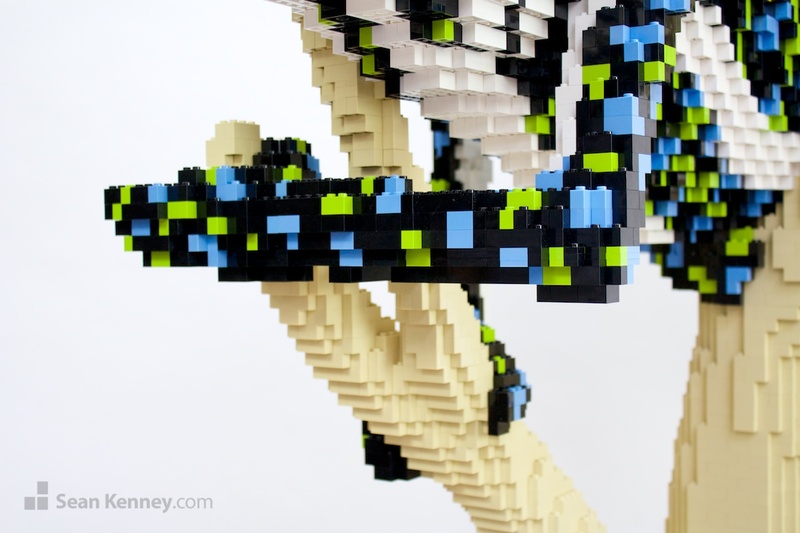 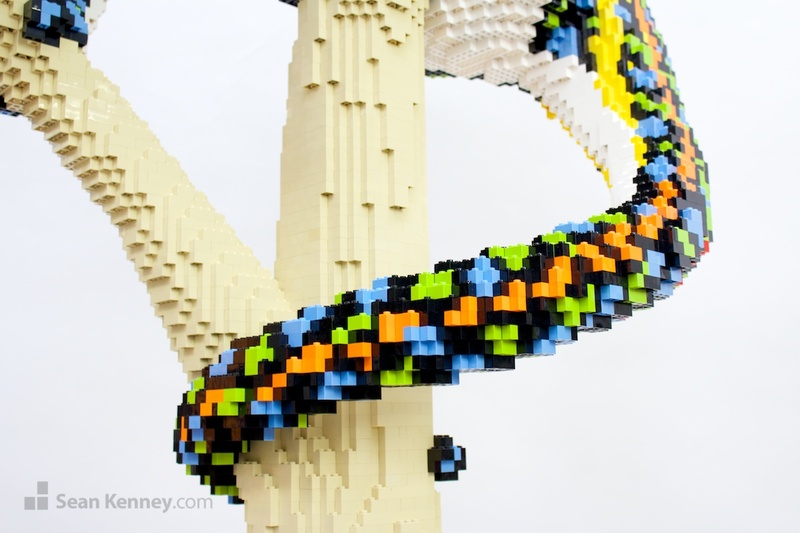 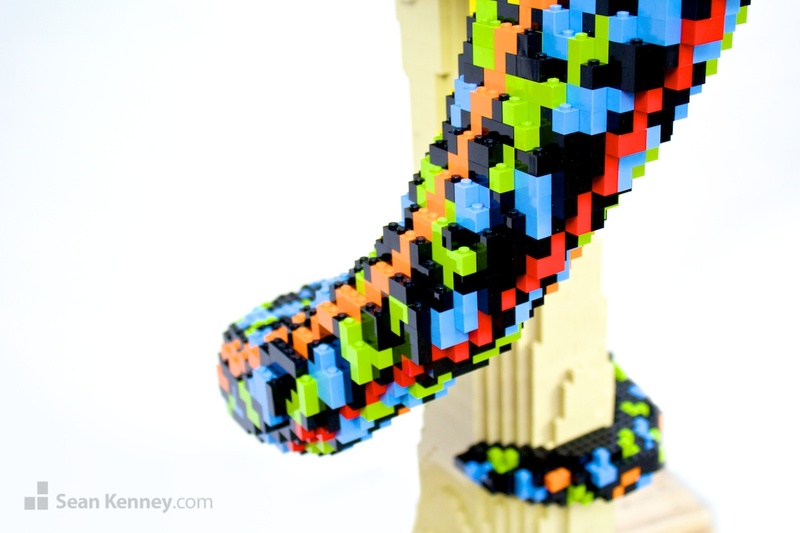 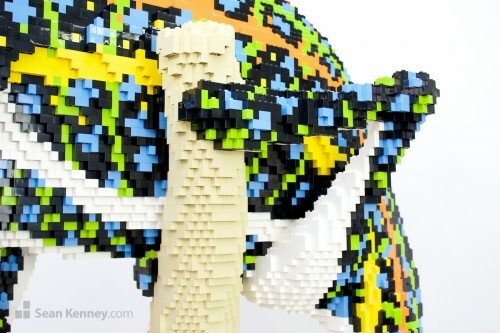 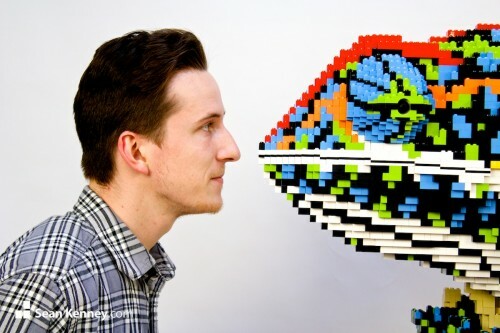 This sculpture of a Jeweled Chameleon is 5.5 feet tall and contains 49,034 LEGO pieces. 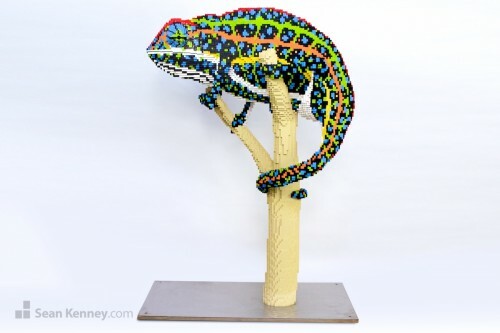 The sculpture contains 49,034 LEGO pieces and took 511 hours to design and build. Building a sculpture like this one, which basically hovers in the air, is very tricky! We crate long, tall “scaffolding” that helps hold the sculpture up while we build it. After the sculpture is complete, it holds together on its own and we can remove the scaffolding. 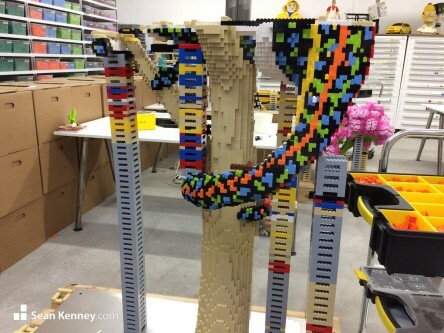 My assistant Natsuki (above) took the design lead on this sculpture, and helped build it together with Sutton (below). 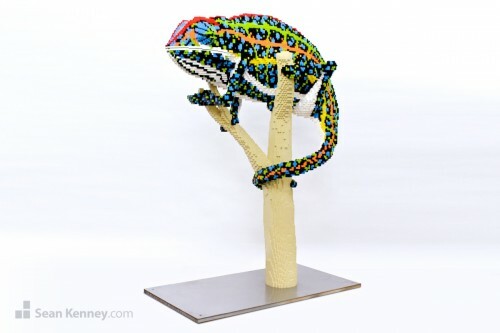 All of the tiny flecks of color make the sculpture slow to build, but the final completed look is perfect!